It Bangla Photoshop Tutorial tips and tricks How to type Bengali Front in Photoshop with avro keyboard? Are you facing any problem when you type Bangla in Photoshop? 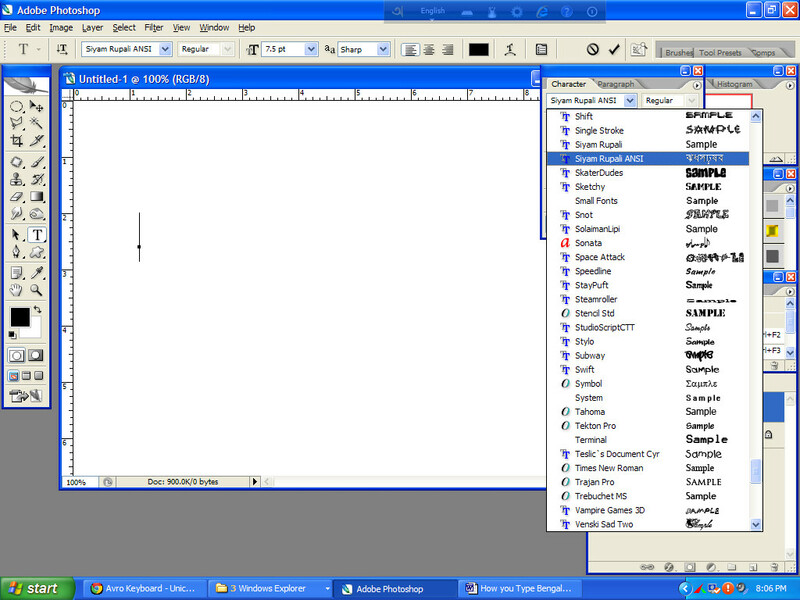 Photoshop is the best software for graphic design, you can say that photoshop is the mother software for graphic designer. There is not a problem in English front, but when you work in bangla front, I think you will face the problem. It will show you ??????????? like that. 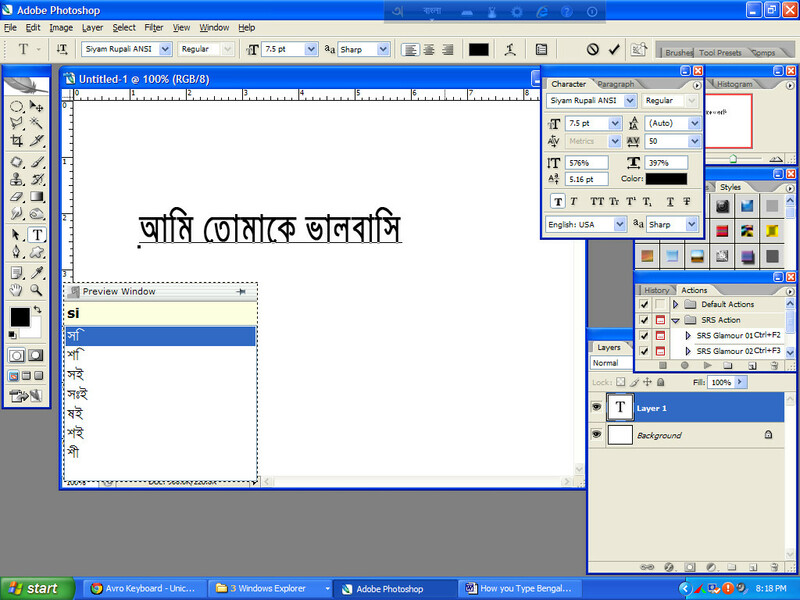 In this tutorial I will show you how to write bangla in Photoshop using Avro keyboard. Why I will use avro keyboard, because in Photoshop Bangla fornt is not support directly? When you type Bengali in Photoshop its creating problem, Photoshop front is not working properly. It’s irritating us. 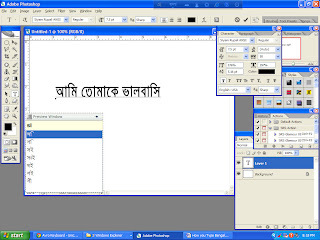 I will show you how to type Bengali front in Photoshop step by step? 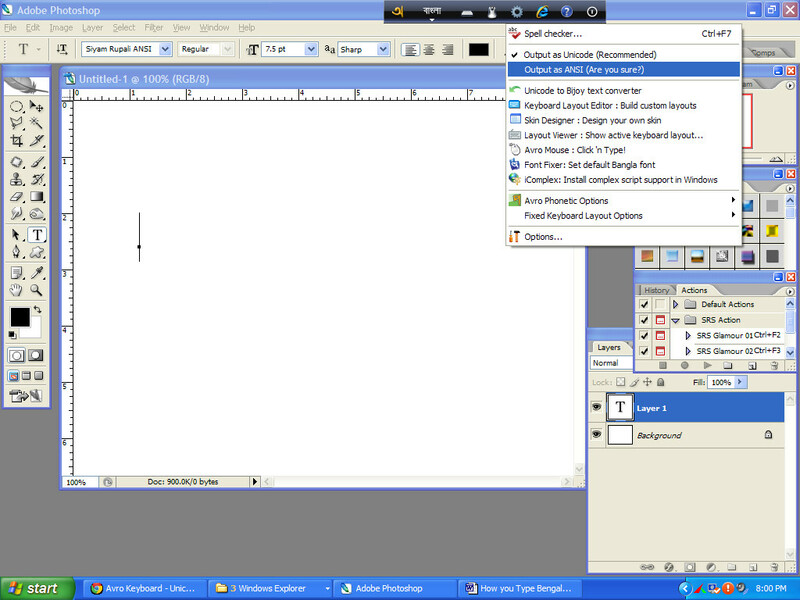 This tutorial is very simple and useful, use this trick for the bangla front problem in photoshop. I hope it will help you. You have to follow some technique which I will show you. 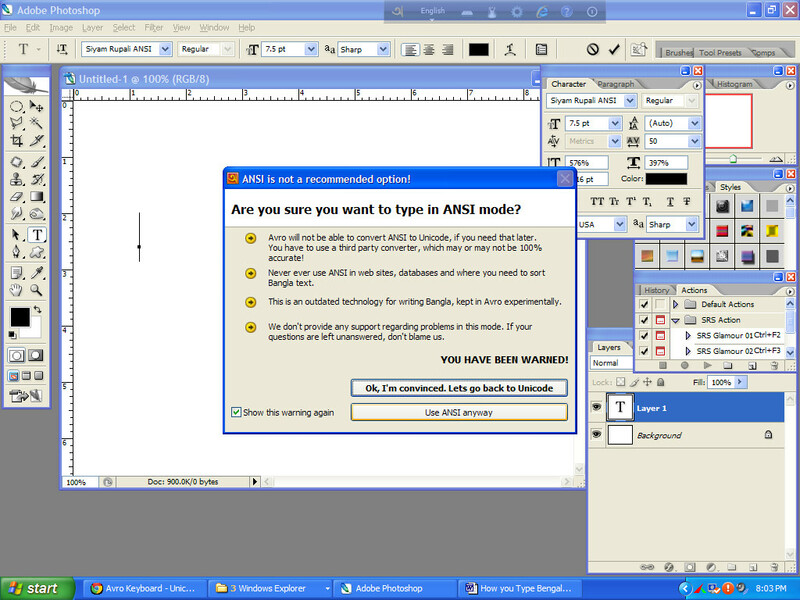 First install Avro Keyboard software for typing Bengali front in Photoshop. Please install it. Go to Photoshop select “Shyam Rupali ANSI” front. 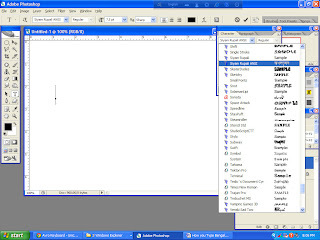 Now you can type Bengali in Photohop smoothly. Enjoy your Bengali typing.